Llangunllo and the Lugg Valley are certainly off the beaten track, and so is my approach to railway modelling. I consider myself fortunate to have witnessed the last years of steam, and the dawn of diesel traction, not that I welcomed the latter’s arrival at the time. But I can now look back on those carefree days with happy memories, as I try to capture the atmosphere of a Western Region country branch during the late 1950’s to early 60’s. Short trains are the order of the day, which suits the small layouts, and diorama’s that I now favour. Trying to create a slice of believable countryside through which a railway happens to pass, and a feeling of time and place is now my main goal, and running trains is now of secondary importance. So those that I do run are few and far between, shunting is only carried when the pick up goods arrives, that’s if it does, for more often than not it only runs as required. As was the case on branch lines up and down the country during their last days. By keeping things simple, and adopting a ‘less can mean more’ approach I have found that my modelling has become more enjoyable. I aim for quality rather than quantity, so what little track I have has been laid with care, and attention to detail. My small stud of locomotives have been modelled on those that actually worked on the Kington Railways. All being carefully detailed, weathered and maintained to give reliable, smooth running, and as long as the wheels, and track are kept clean they start first time. The same care has been taken with my rolling stock, so derailments are very rare. I might not run many trains, but the quality of their running makes up for that. 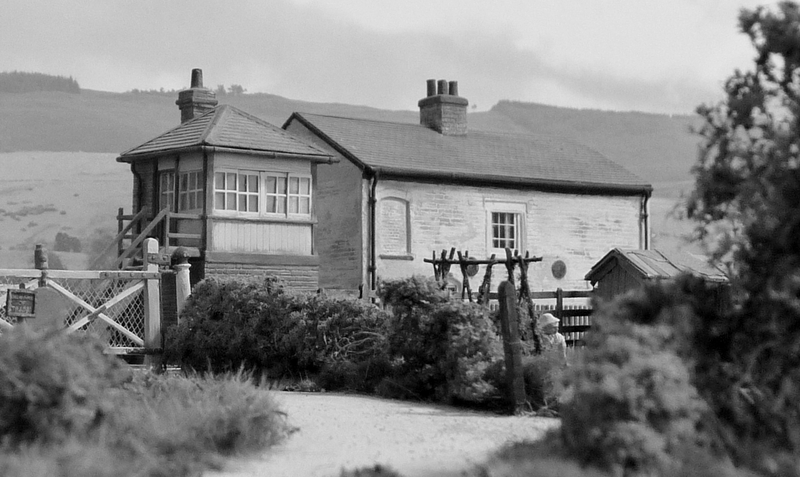 What next, well Llangunllo will be my last layout, but I will continue to model scenes along the Lugg Valley as a diorama or two, whilst pushing my ‘less can mean more’ ideas to the limit. So there you are, my choice of subject and my way of doing things might seem rather strange and boring, but you would be missing the point of what my modelling, and this website is all about. © Geoff Forster and Off the Beaten Track, . Unauthorised use and/or duplication of this material without express and written permission of this website’s author, and owner is strictly forbidden.